1. Prepare yourself by brushing your hair before you start. Then, take your hair and make a pony(don’t tie it). 2. Start by twisting and wraping your hair up. 3. Switch the remaining of your hair to the other side and pin the hair roll(so you could let go the remaining and pull some hair from your french roll). 4. 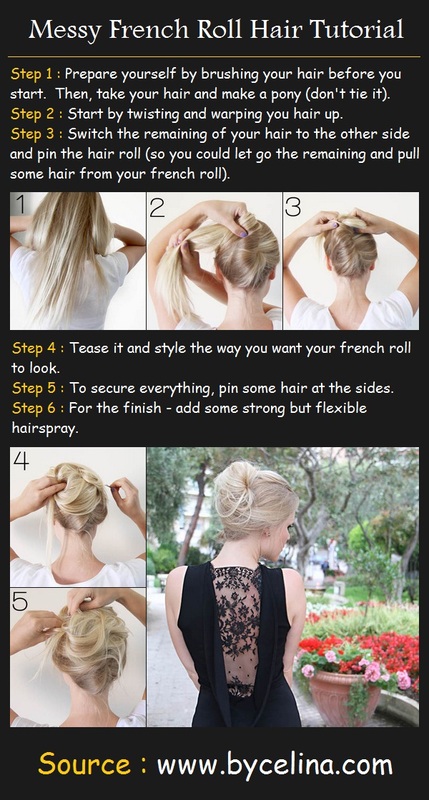 Tease it and style the way you want your french roll to look. 5. To secure everything, pin some hair at the sides. 6. For the finish – add some strong but flexible hairspray.